Elizabeth Warren got what she wanted — Donald Trump’s attention. In typical Trump fashion, he counterattacked on a matter his victim prefers to duck: her heritage. “She’s got about as much Indian blood as I have. Her whole life was based on a fraud. She got into Harvard and all that because she said she was a minority,” Trump — the rich man’s son who got into Wharton — said in a New York Times column by Maureen Dowd over the weekend. 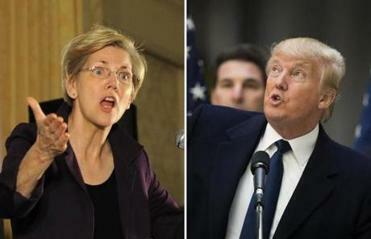 The Massachusetts senator unleashed a tirade against Donald Trump, but the two sound a lot alike in one key area: banker-bashing. Trump, of course, lives to hurt. Just ask “low energy” Jeb Bush, “lying Ted” Cruz, or “Little Marco” Rubio. His strategy is clear: Everyone’s fair game. To get that nonanswer, Dumcius had to chase her down backstage, and an aide whisked Warren away before he could ask about the Trump comment. My Monday morning e-mail seeking reaction to Trump went unanswered. 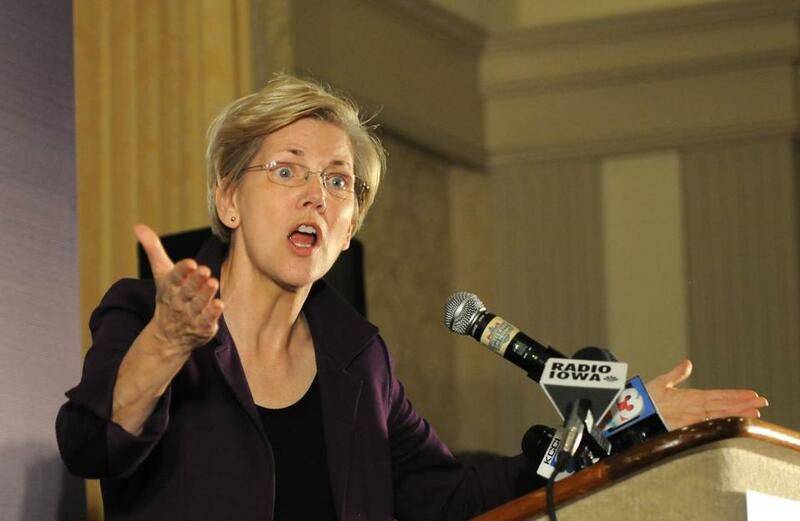 Just like Trump, Warren does it her way. As we already know, the leading Republican presidential candidate is an insult machine. When is he going to grow his campaign and base beyond that? He’s still playing to the same slice of angry, mostly white citizens. They love him, just like Warren’s base loves her.